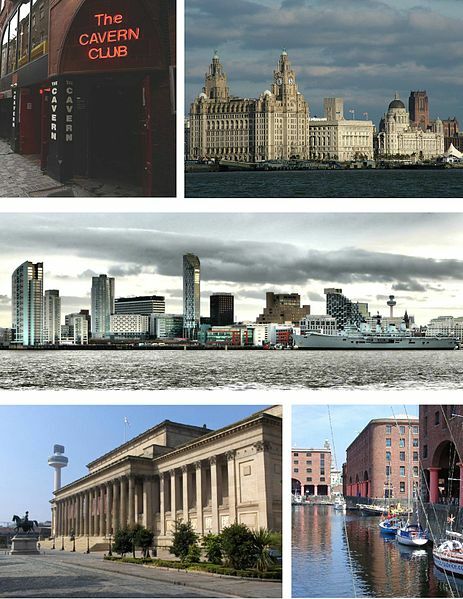 Liverpool is a city and metropolitan borough of Merseyside, England, along the eastern side of the Mersey Estuary. It was founded as a borough in 1207 and was granted city status in 1880. As of 2001 Liverpool had a population of 435,500, and lies at the centre of the wider Liverpool Urban Area, which had a population of 816,216. Liverpool is also the home of two Premier League football clubs, Liverpool F.C. and Everton F.C. Matches between the two clubs are known as the Merseyside derby. Both clubs have had a successful record throughout history, both in results and in producing England players born in the city. Liverpool F.C. is also the English club with the most European titles.